Landscaping companies charge a small fortune to build a garden bridge. Save money building your own bridge, using free garden bridge plans that range from simple and stylized to intricate and arresting. 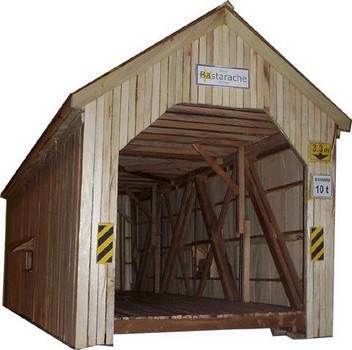 Create a simple arched walkway over a depression or build a full covered bridge, complete with walls and a roof. There are plans that fit any skill level and budget. Add rails and details to customize your footbridge, spending a little or a lot as your budget allows. Choose durable woods and protect with outdoor stain and sealer for a bridge that will last for years. 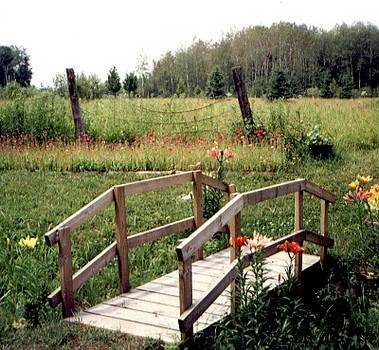 A garden bridge can be purely decorative, or serve a useful purpose. 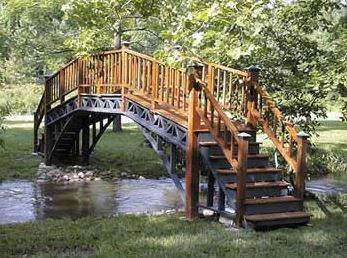 Either way, a footbridge adds eye appeal to any home and is sure to draw comments from guests. Many garden bridge plans below have materials lists and useful how-to tips to make this a project the whole family will enjoy. This attractive wooden bridge can be built using this detailed project, some common woodworking tools and a couple of weekends. 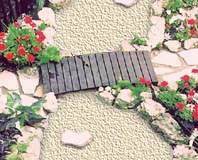 Create a charming garden bridge with railing on one side and stringers made from 2 x 10 ft. or 2 x 12 ft. beams. Here are detailed instructions with pictures to help you build a wooden bridge for your garden area. This is a plan for a simple foot bridge that is easy to build and takes very little time to complete. This plan comes with instructions, list of materials and helpful tips to build this covered 60 ft bridge. 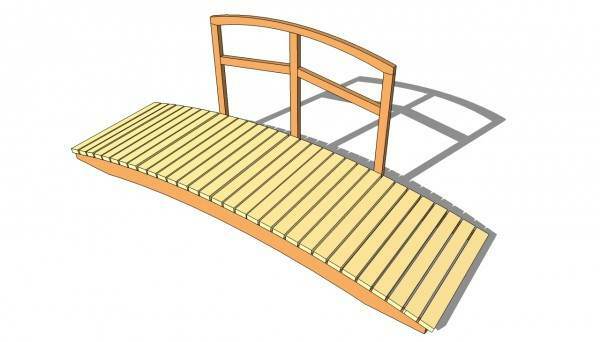 Here are plans for an easy to build arched footbridge with or without railings. 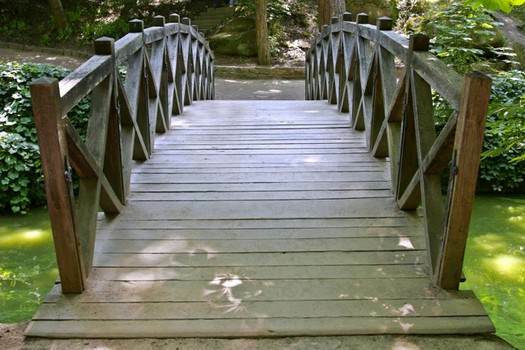 This large Asian style footbridge has railing and steps on each end.